While strolling through the busy and noisy streets of Borivali and walking past several eateries with the fragrance of Indo-Chinese food (think machurian and chowmein) wafting through the air and hitting our noses amidst blaring car horns and hoards of people, only one thing caught our attention and no, it wasn't the food or the cars- it was books! A tiny store that can be easily missed if not kept an eye for, Books Plaza is yet another treasure chest for bibliophiles like us (maybe self-proclaimed, so?) where once we entered, nothing else mattered. Being surrounded by so many different books is like being surrounded by so many new best friends (who understand you too) and Books Plaza is just thr place to meet these so-called best-friends. We met a surprisingly gentle Mr. Pravin Shah who seemed to be totally unfazed by the crowd in his little shop (little in size, big on knowledge) who guided us through the lines of books that were way taller than us. We found books, new and old across categories- action, adventure, classics, fiction, horror, romance, travel, biographies, and the list goes on. What seems like just another normal bookshop actually indulges in a win-win practice that we haven't seen at many places- if you pick up a book from their second-hand section and return it within a month (maintaining the condition you bought it in), the good guys at Books Plaza will refund 50% of the price you bought it at, in cash. 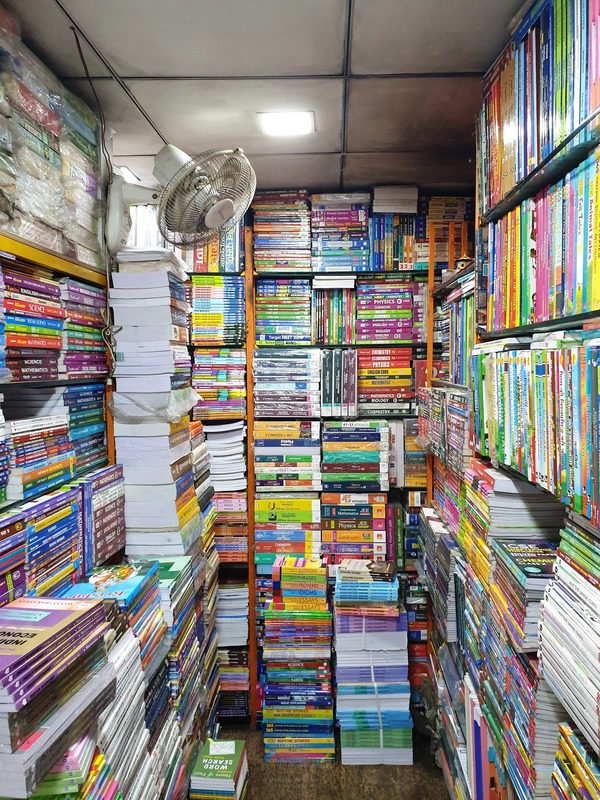 What we love about this is that books get recycled, more like-minded people are exposed to the books and it avoids stocking up of books at home (while everyone in Mumbai is already complaining of space constraints). Head here for your dose of awesomeness and we are sure you wont complain. While finding the book of your choice might seem like a daunting task, just ask the ever-so-helpful staff and they'll pull it out of nowhere, just like magicians do. And while you're at it, head to Rajendra Fast Food next door for a quick bite! And if you're feeling lazy or are still not convinced, just open the browser on your phone and log in to their website. Thank us later, folks!